A corridor in the Dóchas Centre. THERE HAS BEEN a significant increase in the number of women being sent to jail in recent years, leading to major problems with overcrowding. Liam Herrick of the Irish Penal Reform Trust said the number of commitals of women has increased by one third in the last three years. At the same time, the number of men being sent to prison has levelled off. He was responding to comments by Mary O’Connor, the director of the Dóchas Centre women’s prison, who yesterday said that the prison is at full capacity all the time. A District Court judge had criticised the prison’s temporary release policy which saw a woman released after serving just three days of a six month sentence for theft. “This is not an issue about crime, it’s not an issue about capacity,” Herrick told RTE Radio One’s Morning Ireland programme. “There is an issue about why more and more women are being sent to prison, the majority of whom are being sent in for non-violent offences”. Around 80 per cent of women are sent to prison for non-violent crimes, the vast majority of whom are in prison for not paying a fine. Herrick echoed the comments by the prison’s governor Mary O’Connor who said that many of the women shouldn’t be in prison and instead needed help with issues of homelessness, addiction and mental health problems, which were not available in the prison. “The clear problem here is a problem about homelessness and drug residential care,” said Herrick. “The problem is women are going into jail for respite from problems in the community that should be addressed on that side of the prison wall”. The Dóchas Centre is a closed medium-security prison on the grounds of Mountjoy prison in Dublin with an official capacity of 105. 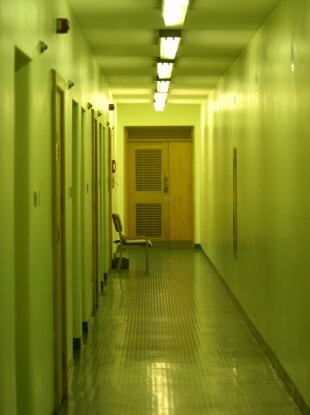 Taken along with Limerick Women’s Prison, Ireland has a capacity of around 130 places for female prisoners. However Herrick said that the average daily population has been between 160 and 170 prisoners “on a consistent basis”. The Dóchas Centre’s visiting committee earlier this year highlighted staffing levels, ‘shabby’ facilities and overcrowding as three of the biggest problems facing the prison. Email “Big increase in number of women being sent to jail”. Feedback on “Big increase in number of women being sent to jail”.